Have you ever looked at a person with the goal of searching for what is special & beautiful about them? 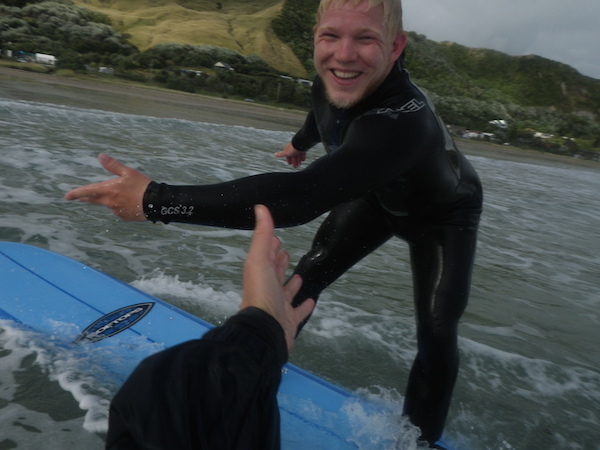 I am a qualified surf coach and have been for over 5 years now. 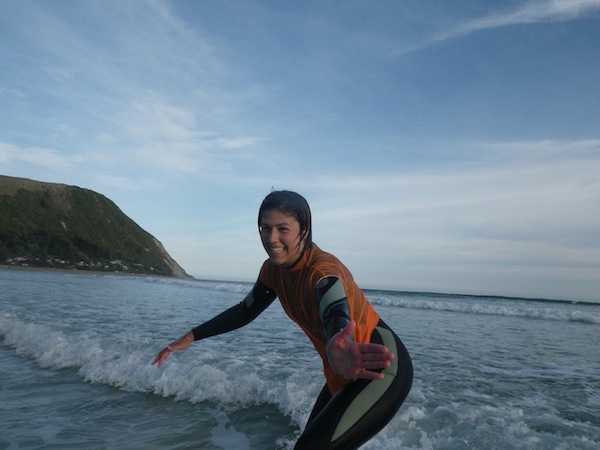 Passed through many a coaching course in New Zealand and Australia, taught several thousand people to surf. 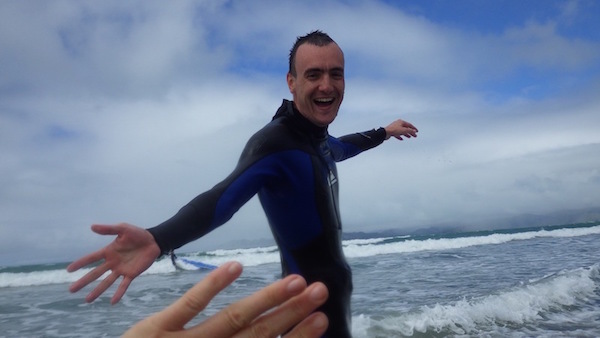 I know how to teach the basic skills to people I know the importance of showing compassion & empathy toward those in that tricky beginner phase of surfing, where it can take time, trial and error and a fair bit of humility & perseverance. I try to work with people where ever they are at, respect them in whatever place they start in the surfing journey and aim to build with them from there. I know the drill, how to bring people from fear to celebrating their success in overcoming it & building a basic surfing tool kit. I know the common mistakes new surfers make and how to fix them. 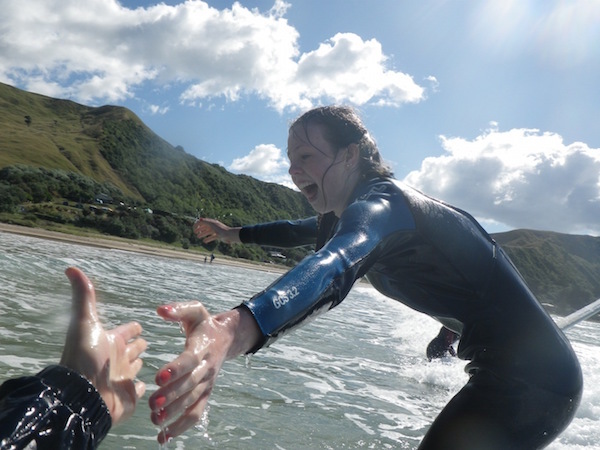 I care about how people feel when they are learning to surf & try to work out how to make the best of it with them. But what I love the most is encouraging people. Encouragement is the word friends have used to describe what I am good at. You know the game where you pass around a piece of paper & those that know you write adjectives to describe you. Well “encourager” was something that kept coming up on my piece of paper. 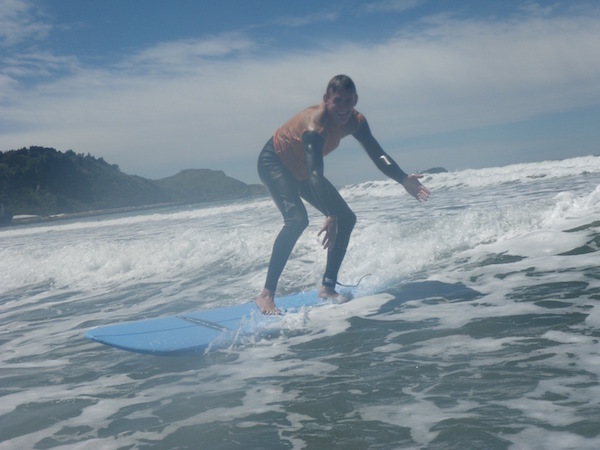 As a surf coach, I care about teaching people how to surf. But as a human, I see beautiful things about you to be encouraged. I look at people and search out their beauty, their rich qualities and I feel a responsibility to celebrate & encourage those things. There is so much to celebrate in people, so much beauty that exists that doesn’t get seen, that doesn’t fit the measuring pole of what should be celebrated eg how much in your bank, where you crossed the finish line or how visually beautiful you might be. 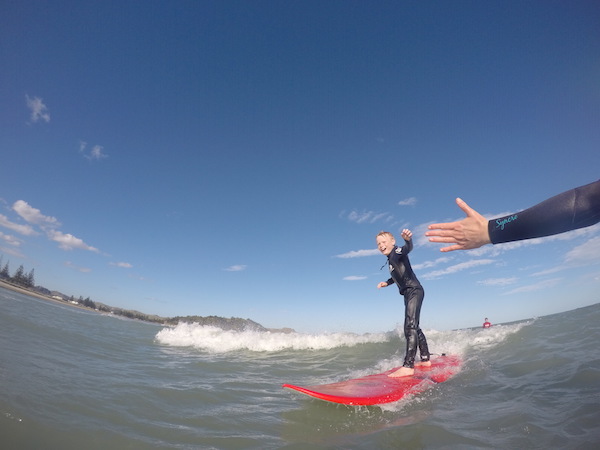 I am so fortunate as a surf coach & owner of a surf school. I get to meet these amazing humans in a context that is quite beautiful. A learning phase, often a vulnerable place for people. Our goals and our focus is similar. 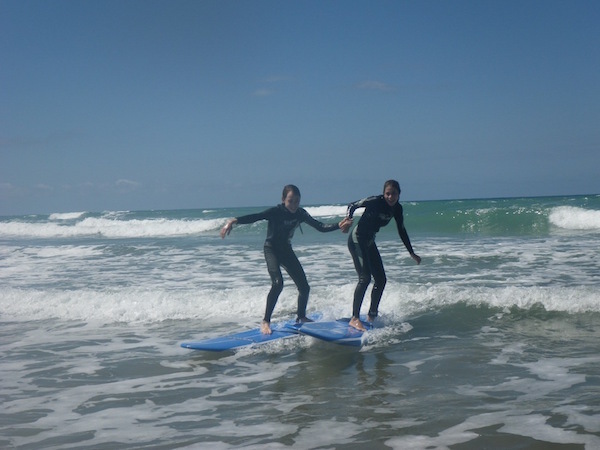 You want to learn to surf, I want to teach you how. 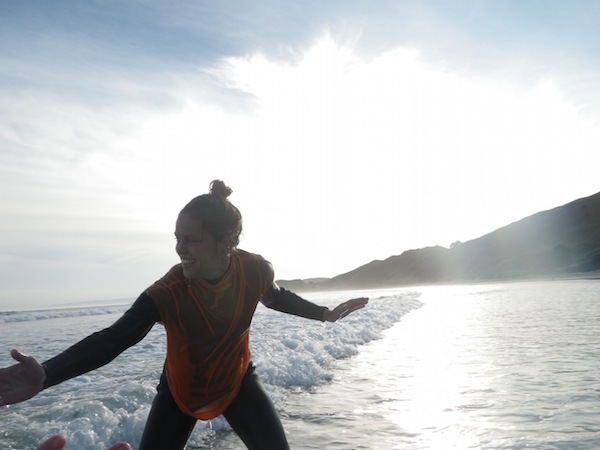 But I also want to remind you & tell you how marvellous you are, how I can see your beauty & what unique ways you bring to this surf experience. Whether it be your sense of humour, your beautiful humble nature, your quiet determined way, your athleticism, your lack of athleticism but abundance of perseverance, your kindness toward others, your joyful response to correction, your ability to laugh at yourself, your self confidence, your humble nature, your celebration of simple goodness, your smile, your energy, your consideration of others, your careful thought, your resilience, your sheer fear & determination despite it, your keenness to learn, your playfulness, your generous spirit, your laugh, your hilarious family, your jokes, the way you find alternatives, your disability & how you make the most of it. You people no matter where you are have something, I am blown away each time to find such beauty, even when I don’t expect it. I look at you and I am stoked to see that you can surf, but even more so I am pleased to witness what unique & beautiful ways you have. Encouragement is something important, something we all need regular doses of. I can’t help a few gestures of encouragement too. Smiles, Hi 5’s, fist pumps. Celebrating your surfing success. But also just celebrating you!